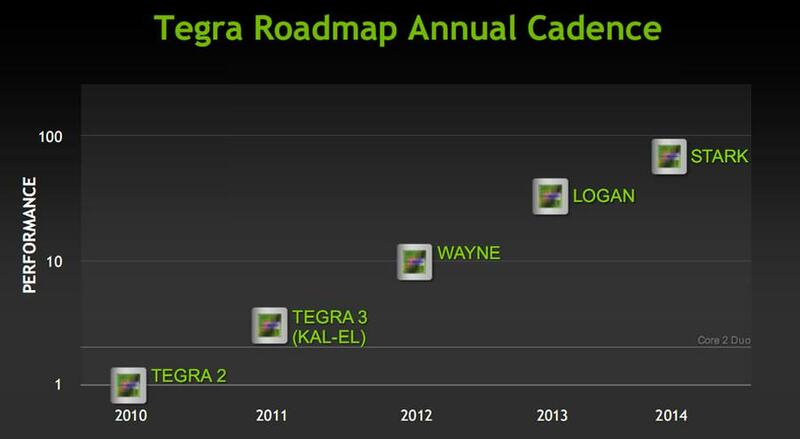 The Nvidia Tegra 2 monopolized Android Honeycomb tablets this year and we already knew that Nvidia had a successor in the works with the codename ‘Kal-El’. 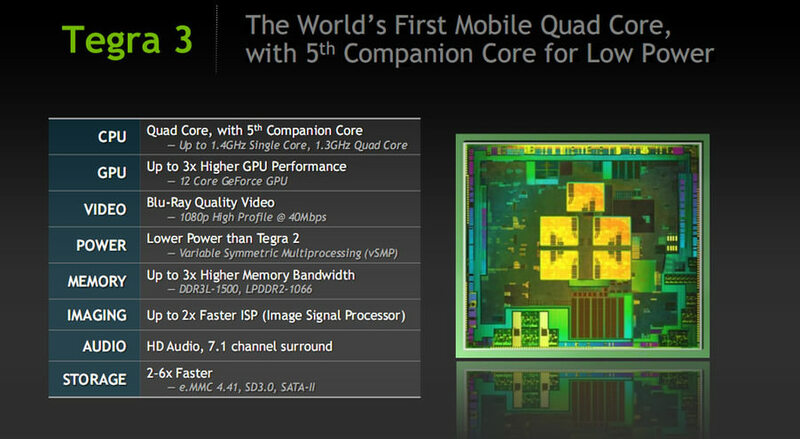 Today Nvidia has come clean with a host of new details on the project and the official Tegra 3 name, and yes mark it down as the first mobile quad-core CPU, yeah ever. 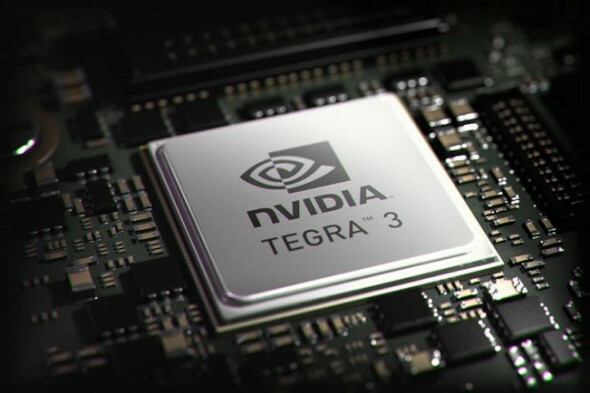 Nvidia is claiming that the new Tegra 3 chip will offer up to five times the performance of the Tegra 2 with its 1.3GHz quad-core Cortex A9 processor and three times the graphics performance with a new 12-core graphics unit. What’s more interesting is that Nvidia has included a fifth, low-power 0 to 500MHz “companion core”. When you don’t need the power afforded by the quad-core unit, the companion core takes over, taking care of light-weight tasks, like listening to music, or during standby. 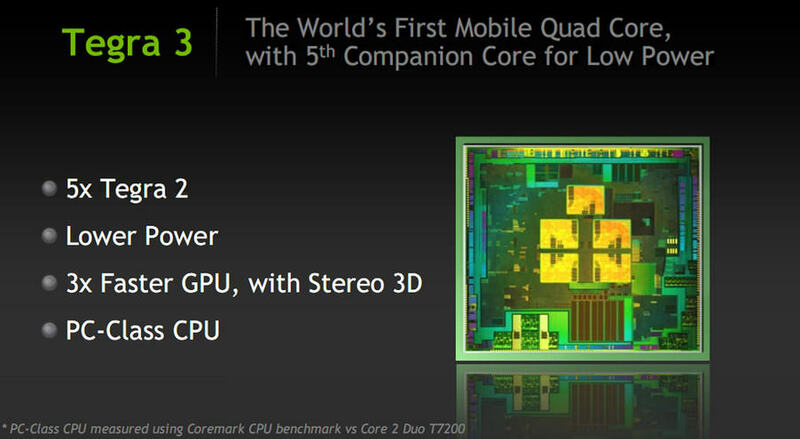 The chip is also intelligent enough to scale the main 4 cores between single, dual and quad-core modes on demand as well. 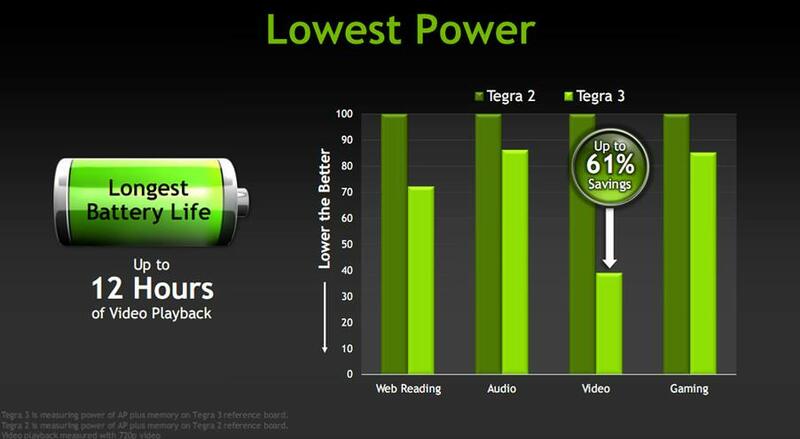 As a result, Nvidia is claiming that the new chip will allow for up to 61% lower power consumption than Tegra 2. 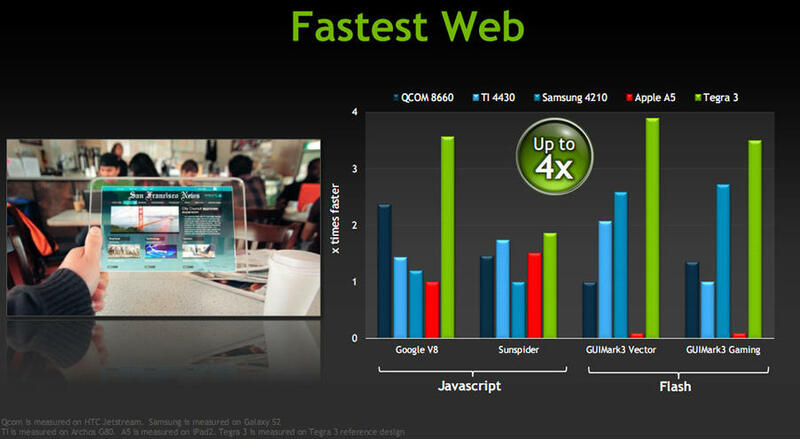 Of course, smoother browsing and application performance, full 1080p HD video and improved 3D game frame rates and effects are all promised to make your Android experience the best yet. 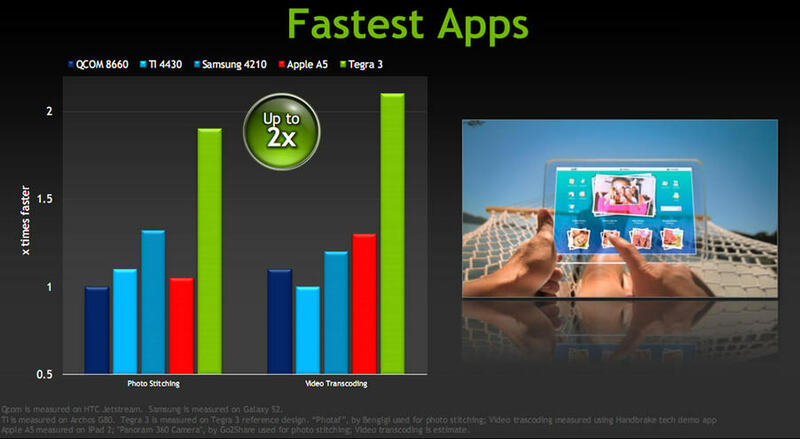 Nvidia didn’t fail to mention that forty games will take advantage of Tegra 3’s advanced capabilities by end of 2011. 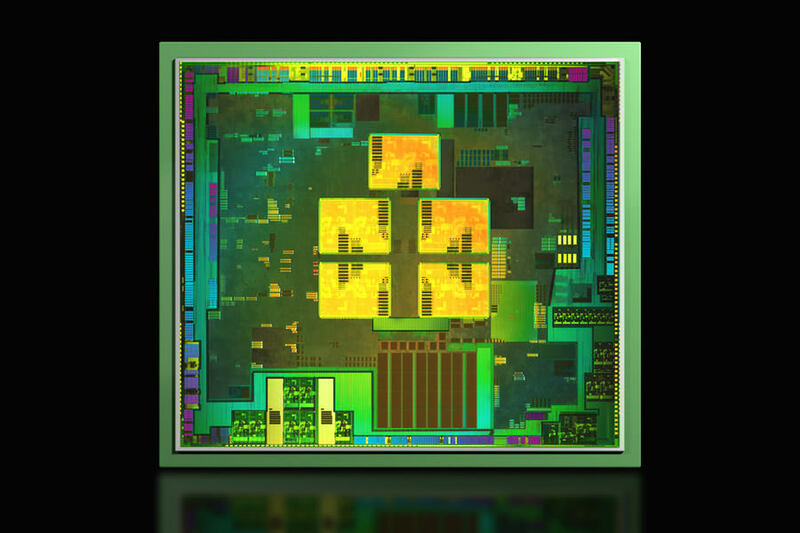 The chip is set to debut in the Asus Eee Pad Transformer Prime 10.1-inch Android tablet, expected in December for $499, while we also saw rumors that it will end up in HTC’s 4.7-inch HTC Edge Android smartphone. Next story Samsung Galaxy Nexus release date slips past the 21st of November in the UK and Europe?